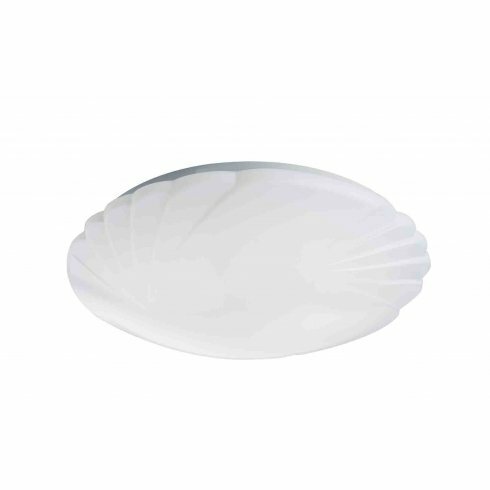 Dar Lighting Ayr LED large ceiling fitting displays a circular, white ceiling plate supporting a domed, white light diffuser with a decorative, feathered design that will suit neutral decors well. The product code for this Dar ceiling fitting is AYR502/LED. Simple, neat and practical, this fitting offers good strong light equivalent to approximately 1350 lumens, while also being stylish enough to compliment a wide range of classic and contemporary decors. Also available as a slightly smaller, 32cm version which can also be ordered direct from our website.